THLADY - Driving house sales in your area! 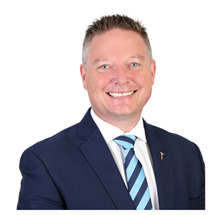 Selecting your agent is crucial to your sales success. You need to have faith that your agent will steward the whole process from start to finish. That agent must demonstrate the expertise, negotiation and marketing skills that are required to sell your property. It’s not just about selling your home. And it’s more than just marketing! It’s the total package that counts! Not just anyone can maximize the sale price, so that you can be sure you have achieved the best price from the current market. 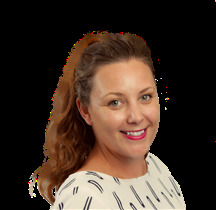 Julie served 15 years plus in the Albany Branch and is now in the Hobsonville branch of Cooper & Co Real Estate and she believes that Cooper & Co strategies and philosophy are focused on achieving the best results for our clients. After several years in the fitness industry Julie became involved in real estate and over several years Julie has built a substantial database of clients, many of whom are repeat clients many times over. Whilst Julie has been in real estate for this period she has continued to maintain a strong interest in the latest marketing and sales strategies. Julie’s approach is centered on what's best for you and your property in this current market. As your realtor her prime responsibility is to market your property to attract and identify the buyer or buyers who see the greatest value then make absolutely sure they compete to pay it! 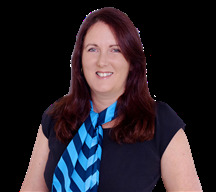 Julie brings a combination of experience, skill and energy to the marketing of property. Sonya originates from the winterless North – Whangarei. She has been an Auckland local for over 25 years and loves being a valued member of the West Auckland community. An active leader in the Scouts & Cubs organisations, her passion for helping the younger generation definitely extends beyond her own two children. With over 20 years’ experience dealing with customer service & helping people realise their goals, Sonya is well versed in leading you through the sometimes-stressful time of selling & buying your new home. In her spare time, she enjoys Zumba classes and spending time at the beach with her Airforce Services husband, Alastair and their children, Hayden & Sapphire. For almost two decades, Sue Noonan has built a rapport with the people in her community that is unrivalled. In creating a reputation for honesty and trust, Sue has become an award-winning real estate agent specialising in high-end properties. Few realtors can claim to possess an understanding of their patch quite like Sue can. Having lived in West Auckland all her life, she knows intimately the area in which she focuses - from Whenuapai and Herald Island, to Hobsonville, West Harbour and Massey. It's also the place she’s proud to call home. In her highly successful 20 years in real estate, Sue has amassed property sales topping $235 million. She has consistently been in Harcourts’ Top 20 salespeople in Auckland, and has led auction listings at Harcourts Hobsonville for 15 years. While the name Sue Noonan represents integrity, trust, experience and dedication, she’s also recognized as TOPGRL - the number plate on her distinctive emerald green Ford XR6, and the signature of a distinguished career. Sue prides herself on a passion for community and is an ardent supporter of "giving back" through local groups and causes. Renowned for her professionalism and attention to detail, Sue gives her all to the needs, goals and satisfaction of her clients. She strives, and succeeds, in making the journey of buying and selling a home a simple and rewarding one. Builder's Pain -- Your Gain!!! Affordable, New, Must be sold. Brick And Tile Single Level! Brand new - Fully Upgraded. Titles Issued And Ready To Go. Take The Long View On Luckens.